Highly pigmented colour gives sheer natural finish. CB2 - A light olive-beige color cream foundation/Suitable for light, slightly warm olive skin tones. CB3 - A medium-light olive-beige color cream foundation/Suitable for light to medium warm olive skin tones. CB4 - A medium olive-beige color cream foundation/Suitable for medium, warm olive skin tones. CB5 - A medium olive-beige color cream foundation/Suitable for dark-medium, warm olive skin tones. DC5 - A dark, warm brown color cream foundation with a dominant red hue/Suitable for dark, warm skin tones. DW5 - A dark, warm brown color cream foundation with a slightly golden red undertone/Suitable for dark, warm olive skin tones. GY1 - A light brown color cream foundation with a rich golden olive hue/Suitable for lighter dark olive skin tones. GY2 - A medium brown color cream foundation with a warm golden olive hue/Suitable for medium dark warm olive skin tones. GY3 - A dark golden olive color cream foundation/Suitable for dark olive skin tones. WB3 - A light, warm beige color cream foundation/Suitable for light to light-medium warm skin tones. WB4 - A medium warm beige color cream foundation with a hint of olive/Suitable for medium, slightly olive skin tones. WB5 - A deep warm beige color cream foundation with a hint of olive/Suitable for warm, dark-medium skin tones. 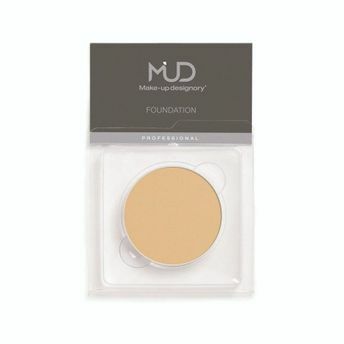 YG1 - An extra-light golden olive color cream foundation/Suitable for very light olive skin tones. YG2 - A light, golden-olive color cream foundation/Suitable for light to medium olive skin tones. YG3 - A deep, golden olive color cream foundation/Suitable for dark-medium olive skin tones.